Bob Hoffman, founder of the Hoffman Process, was born in New York on September 5th 1922. His parents had emigrated to the United States from what is now Ukraine around the turn of the century. Originally a bespoke gentleman’s tailor in Oakland, California, Bob had an innate and highly gifted ability to listen to deeper truths and wisdom. Bob had no formal training in psychology, psychiatry or psychotherapy. If Freud and his followers had brought to light the effect of childhood on our conditioning, something that today is so basic to our beliefs that it is no longer questioned, Bob supplied a vital missing piece, the one that could be said to make all the others fit together: Love. Love is the glue that keeps the family unit healthy. If Love is missing, we need it so badly that looking for it becomes a main motivator of our behaviour patterns. Forgiving our parents, whether dead or alive, and learning to love our selves, is the healthiest way to start living. With that as a basis, it becomes possible to genuinely love others. Bob grasped that, while we are growing up, we imitate our parents in order to win their (emotional) love and attention. By copying their moods, their attitudes, their beliefs and even their spoken expressions to gain their approval, our characters become formed. With that approval, we hoped, would come the enveloping security blanket that love provides. 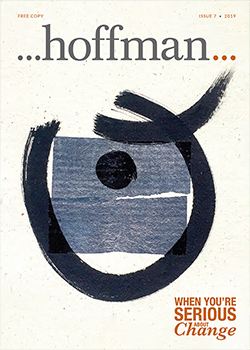 Love conquers all neuroses, and for Hoffman the fundamental neurosis was to grow up feeling unlovable. The Hoffman Process began its evolution from Bob’s office in Oakland, California in 1967. Bob would begin by asking a client to write an emotionally charged autobiography of their life from birth to puberty. Then he looked at the negative emotional traits of each of the birth parents and started to work through a powerful understanding of the emotional history of the client’s parents. This he termed ‘Negative Love’. He could see that parents had unwillingly adopted ‘negative traits’ themselves, and were driven by their own emotional history. They could therefore not be blamed. These deep understandings led to the experience of forgiveness and compassion for one’s parents. 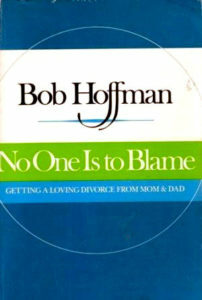 As Bob repeated throughout the rest of his life: “Everyone is guilty and no one is to blame”. Bob would lead his early clients through a series of (usually) eight to ten, two-hour sessions. These involved a variety of techniques and cathartic exercises designed to help them reach a place of unconditional love for their parents. They learnt tools to break the habit of negative behaviours and were taught rudimentary self–awareness exercises. Bob coined the term ‘Quadrinity’ to describe the 4 aspects of our Self: The Intellect, The Emotions, The Body and The Spirit. By engaging all these aspects and helping them to work in harmony, true healing could begin. 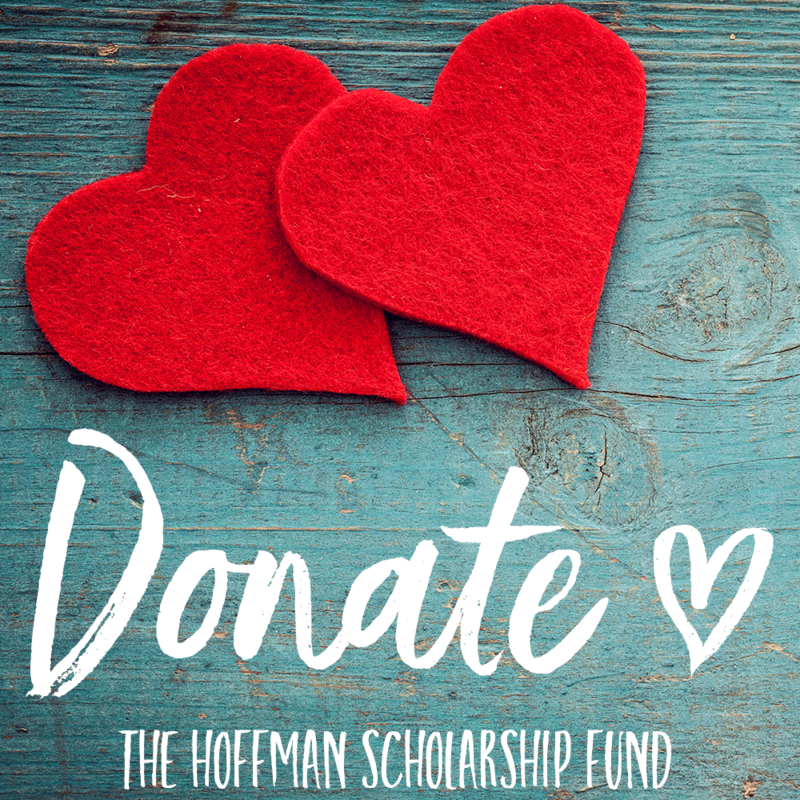 A structure of Awareness, Expression, Forgiveness and New Behaviour was born and to this day remains the foundation of all Hoffman Process teaching around the world. His book ‘No One is to Blame’ was first published in 1978 as an introduction to help people understand how to change their self–destructive habits. When John Bradshaw published his first book, The Family, as a self-help guide for those who had grown up in dysfunctional families, he highly recommended the Hoffman Process to deal with the ‘original pain of childhood and get back in touch with the soul’. As this became an international bestseller and Bradshaw a popular speaker, Bob’s work also became more widely recognised. Over a period of twenty years, and with the help of a variety of therapists and doctors, Bob slowly built the Process structure as we know it today. He received a great deal of advice from Claudio Naranjo, a Harvard educated psychiatrist, who introduced the Enneagram to the Western culture, as well as Fritz Perls founder of the Gestalt Therapy. 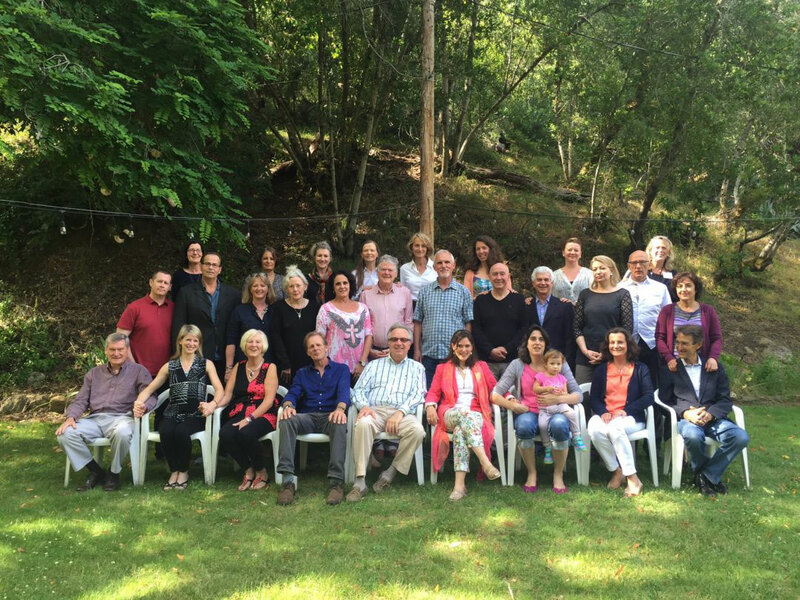 Bob realised that offering a retreat setting would allow participants to deepen their insights and personal changes. So, in 1985, the first 8-day residential (Hoffman) Process was held in Sonoma, California. The years that followed saw the work of the Hoffman Process spread throughout the world with new Hoffman centres starting in Brazil, Germany, Switzerland, Australia, Argentina, Canada, France, Italy, Spain and here in the UK. This in turn led to the Hoffman Institute International (HII), which was created to regulate and monitor the standards, safety and delivery of the Hoffman Process around the world. Hoffman UK is the second biggest centre in the world. We hold regular Processes in England and Ireland and have also held them in South Africa, Bahrain and Abu Dhabi. 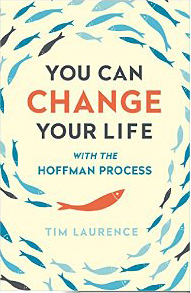 In 2003, UK co-founder Tim Laurence wrote a book about the Hoffman Process, entitled You Can Change Your Life (Hodder and Stoughton), that enabled people to read more about the techniques and exercises used on the Process. The growth in popularity since then confirms that people are now ready to do deep, intensive emotional work in a safe environment. Over the past few years Hoffman UK has worked on maintaining a strong reputation through word of mouth as well as ensuring that the right people are doing the course at the right time. They work in conjunction with therapists, doctors, treatment centres, corporations, and educational establishments in order to best provide people with a way of resolving issues, restoring relationships and leading to a better quality of life. 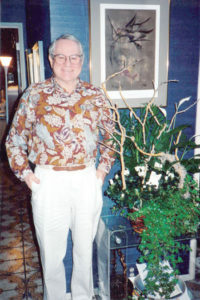 Bob Hoffman passed away in 1997, warmly loved and admired by all those who had come into contact with him. It was his vision to heal families, bring love back into our lives and heal the world one person at a time. ‘My dream’ he said, ‘is that this work will eventually be recognised by all scientific communities, that it will be recognised by the educational pontiffs of the world and that it will be placed into compulsory educational programmes’. Almost 100,000 people have now benefited from Bob’s vision. As many have said after the experience, ‘It’s the best gift you can give yourself’. It’s also a gift that gets shared with family, friends and work colleagues as its effect spreads over the months and years. Processes and regular Information events are available throughout the year, where you can find out more about the Process, meet the facilitators and see if the Hoffman Process is right for you. You can also buy Tim Laurence’s book ‘You Can Change Your Life‘, which is a fantastic introduction to the tools and techniques of the Hoffman Process. If you are unsure whether the Process is right for you, please call the office on +44 1903 88 9990 or email: info@hoffmaninstitute.co.uk and speak to one of our enrolment team.